How much do Tigers suites cost? Comerica Park suite prices typically range from $2,000-$4,000 for Detroit Tigers games. Pricing will vary based on opponent, day of the week, and suite size/location. Diamond Suites at Comerica Park are located along the first and third base lines on the 100 and 200 levels. They have capacity for 20 guests and include private outdoor seating for 12, 3 VIP parking passes, HD TVs, and your own restroom. Homeplate Suites feature the best vantage point in Comerica Park. They are located right behind home plate and have the perfect batters eye view. These suites include 27 tickets, 3 VIP parking passes, private restrooms, and your own outdoor seating area with 14 stadium seats. Legends Suites are positioned above the Champions Club at Comerica Park, and include 3 VIP parking passes, private restrooms, a dedicated suite attendant and in-suite catering options. Legends Suites come with 18 tickets and the option to purchase up to 6 more tickets. Party Suites are ideal for larger groups, and can accommodate from 20 to 70 guests. They come with indoor and outdoor areas, private in-suite bathrooms, suite attendant, VIP parking passes, and various catering options. Suites at Comerica Park come in various sizes and configurations. Traditional private suites can accommodate groups of 18-24 people. Most suites will offer the option to purchase additional standing room only (SRO) suite tickets. Party Suites, located near the left field foul pole, can accommodate larger groups of up to 70. 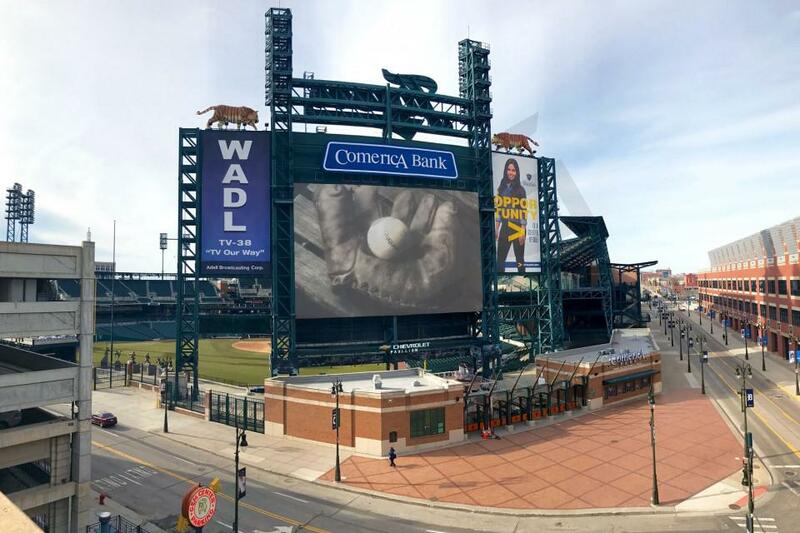 Comerica Park suites can range in price from $2,000-$4,000 for Detroit Tigers games. Prices vary based on opponent, day of the week, suite size and suite location. Suite prices for concerts and other secondary events at Comerica Park will vary widely. In-suite catering is available for all suites at Comerica Park. The menu includes a wide range of food and beverage options provided by Delaware North Sportservice. Most suites at Comerica Park do not include catering in the base price of the suite, so be sure to allocate additional funds if you’d like your suite catered. 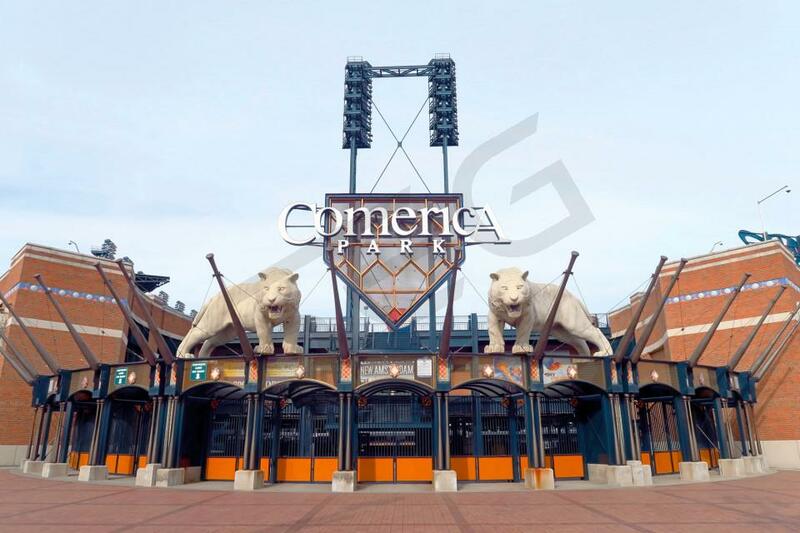 On average, SEG clients at Comerica Park will spend $2,000 for a fully catered suite, however, there is no catering minimum. Suite Experience Group will provide a Comerica Park catering menu and can advise on the appropriate budget and catering order for your group. Legends Suite –Legends Suites are located on the left field line in the outfield. These suites can accommodate between 20-30 people. Legends Suites feature outdoor balcony seats (12) in addition to bar stool and lounge seats arranged in the suite. Suite amenities include VIP parking passes and a private in-suite restroom. Diamond Suite – Diamond Suites are the most popular suite option at Comerica Park. 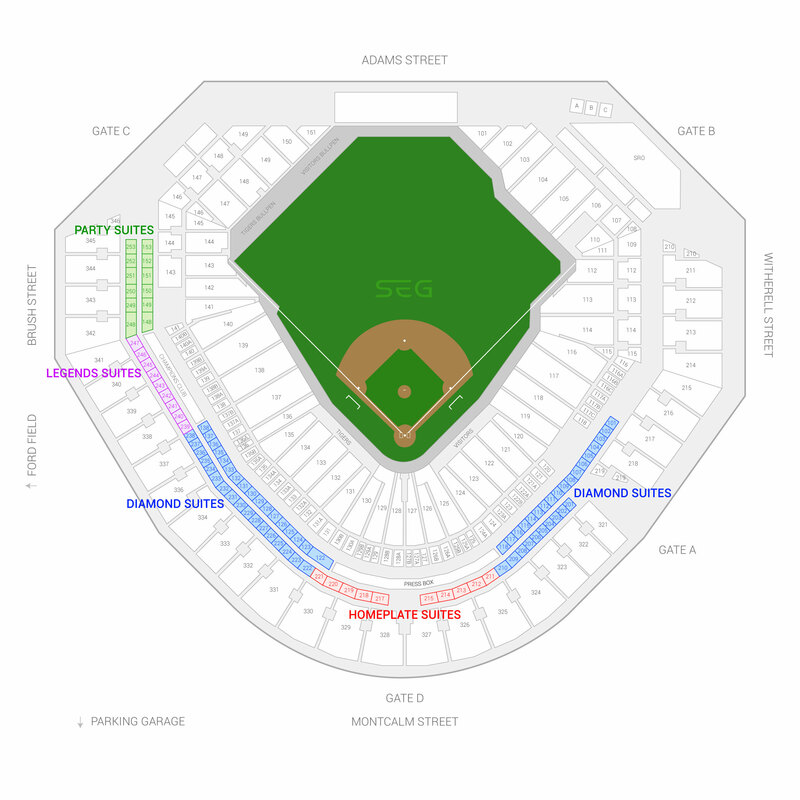 These suites are located on both the upper and lower suite level between first and third base (infield locations). Diamond Suites feature outdoor balcony seats (12) and additional seats inside the suite. Suite amenities include VIP parking passes, a private in-suite restroom, dedicated suite attendant, and in-suite catering options. Home Plate Suite –Home Plate Suites are limited in quantity and located right behind home plate. Homeplate suites can accommodate groups of 20-30. Suite amenities include VIP parking passes and a private in-suite restroom. Party Suite – Party Suites are ideal for larger groups and can accommodate up to 70 guests. Party Suites are located near the left field foul pole on both the upper and lower suite level. There is no dress code enforced on suite level at Comerica Park. All luxury suites at Comerica Park are climate controlled. All backpacks, except for single-compartment drawstring bags that do not exceed the MLB bag-size requirements of 16” x 16” x 8,” are prohibited from being brought into Comerica Park. Read the full policy here. Children under the age of 3 do not require a suite ticket. Reserved parking for suite ticketholders is in the Tigers Garage at 250 E. Fisher Street. VIP Entrances will open 2 hours prior to first pitch. The VIP Suites Entrance is located on the 3rd Floor of the Tiger Parking Garage (250 E. Fisher Street). Additional VIP Entrances can be found at the MotorCity Casino Hotel Tiger Club (between Gates A and B), the Tiger Den, and the Champions Club. The Detroit Tigers will turn to their exciting prospects in 2019 and continue to rebuild into a World Series contender once again. The lineup will be held down by former MVP Miguel Cabrera and the pitching staff will be led by their young ace, Michael Fulmer. Cabrera when healthy shows he can be the best hitter in baseball. For the Tigers to compete in 2019, they’ll need Cabrera back in MVP form. Fulmer can go two ways in 2019, continue to build upon his young career and help this Tigers team compete in t he AL Central or be a very valuable trade chip this season allowing the Tigers to add to their promising farm system. In the offseason, the Tigers added infielders Josh Harrison and Jordy Mercer, both former teammates in Pittsburgh. The pitching staff got a boost with the additions of Tyson Ross and Matt Moore. Looking at prospects to step up in 2019, the Tigers will turn to Christin Stewart, Beau Burrows and Kyle Funkhouser. The Tigers’ starting lineup will feature Cabrera, Harrison, Mercer, Nicholas Castellanos, John Hicks and Jeimer Candelario. The rotation can be solid if healthy, featuring Fulmer, Matt Boyd and Jordan Zimmerman. Since being built, Comerica Park remains one of baseball’s best venues to watch a game. Comerica Park features four Suite Levels: Legends, Diamond, Homeplate and Party suites. Diamond suites tend to be the most popular, located along first and third baselines. Legends suites are in left field, right between Diamond and Party suites. Most suites at Comerica Park will accommodate 18 – 24 people. 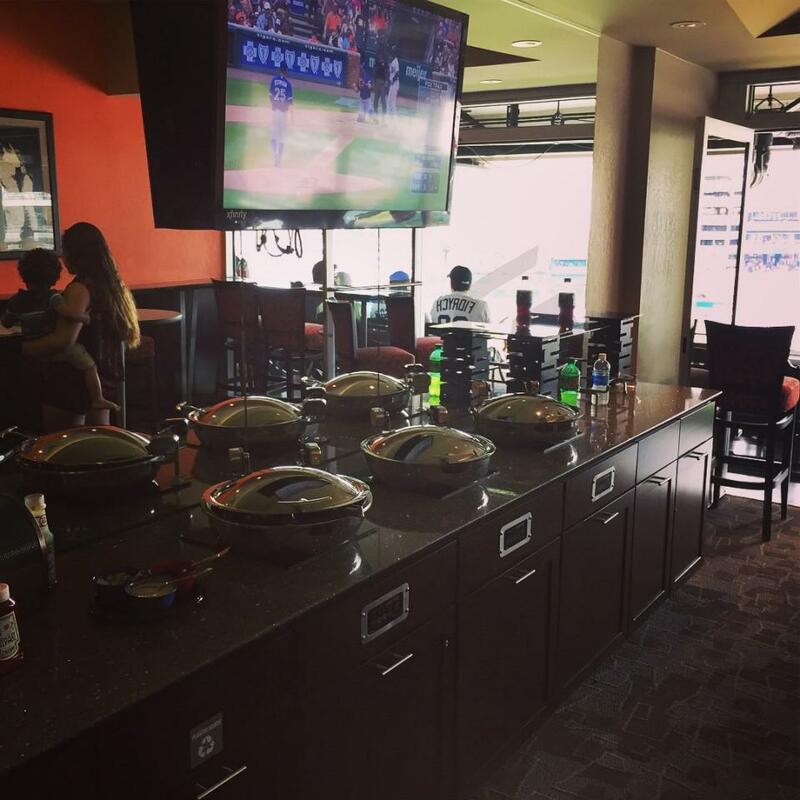 Suites for a Tigers game can be fully catered at your own discretion. 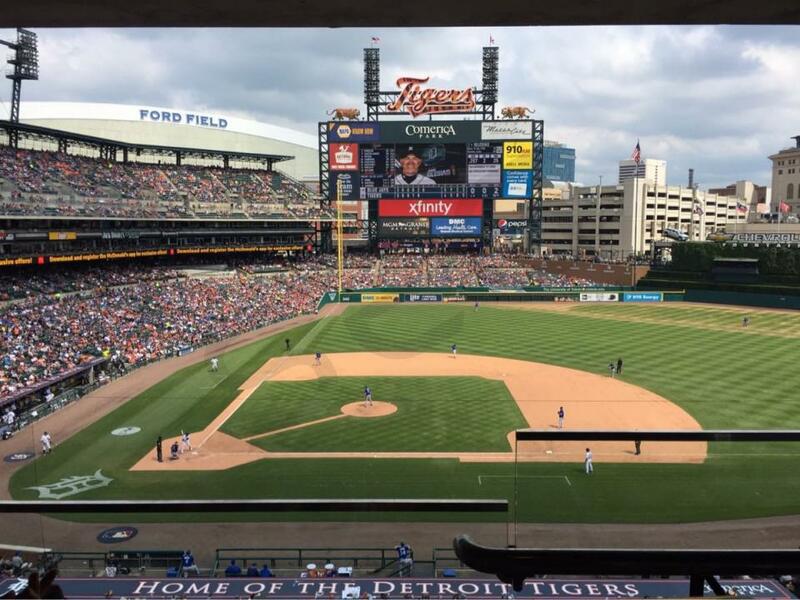 Suite prices for a Tigers game can range from $2,500 - $4,000 on average. The 2018 season will likely be a rebuilding year for the Detroit Tigers. New manager Ron Gardenhire will replace Brad Ausmus after Ausmus went just 64-98 as Tigers manager last season. Gardenhire will aim to get the Tigers back on track to the perennial playoff team they were just a few years ago. Miguel Cabrera, an eleven-time All-Star and two-time American League MVP, is still the face of the Detroit Tigers franchise. As he enters his age-35 season, Miggy needs just 38 home runs to reach 500 career home runs. He would become just the second active player, along with Albert Pujols, to reach the famous threshold. Nicholas Castellanos will join Cabrera as Detroit’s top offensive players. Last season the 25-year old third baseman hit .272 with 26 home runs and 101 RBI’s. On the mound, Michael Fulmer is looking towards a huge year in 2018. The 2016 American League Rookie of the Year will be crucial to the Tigers success the next few seasons. He was originally acquired in the trade that sent Yoenis Cespedes to the New York Mets in 2015. Expect the Tigers front office to give plenty of playing time to the team’s young prospects in 2018 in order to evaluate the young talent already on the roster. Watch Tigers baseball from the best seat in the house, a Comerica Park skybox. Luxury suites for a Tigers game can accommodate groups of 18 – 24 guests. With your Tigers suite, your group will get private entry into Comerica Park, exclusive access to stadium clubs, and a Tigers suite attendant to help with any gameday necessities. In-suite catering options are available to purchase in advance. Luxury boxes will feature HDTVs, Wi-Fi, private restrooms and indoor/outdoor premium seating. The 2017 Detroit Tigers have one of the strongest lineups in the American League Central division. There isn’t much change from season ago but that’s because this roster has helped the team get to two World Series appearances in the past decade. Comerica Park is one of the most hitter friendly venues in all of baseball making it an exciting place to watch baseball. The Tigers are led by Miguel Cabrera at first base. Ian Kinsler and Jose Iglesias will be handling the middle of the infield with Nick Castellanos at third. This entire infield combined for 100 home runs last year. The outfield is filled with power hitters as well including J.D. Martinez and Justin Upton. Arguably the best DH in the American League, Victor Martinez is one of the tougher outs in baseball. On the mound, the Tigers saw Justin Verlander return to All-Star form in 2016. The Tigers hope for another season just like that from their ace. Michael Fulmer won the AL Rookie of the Year award last season. Fulmer enters 2017 with high expectations. Jordan Zimmermann wasn’t himself last year but a bounce back season from Zimmermann could help the Tigers form a strong rotation. Anibal Sanchez and Daniel Norris will round out the rotation. In the bullpen, Francisco Rodriguez is the team’s closer. Watch Tigers baseball from the best seat in the house, a Comerica Park luxury suite. Suites for a Tigers game can accommodate groups of 18 – 24 guests. With your Tigers suite, your group will get private entry into Comerica Park, exclusive access to stadium clubs and a Tigers suite attendant to help with any gameday necessities. In-suite catering options are available to purchase in advance. Luxury boxes will feature HDTVs, Wi-Fi, private restrooms and indoor/outdoor premium seating. Offense: The 2016 Detroit Tigers have nowhere but up to go. After finishing last in the AL Central division, the Tigers hope they made enough improvements this offseason to move up in the standings. 2015 Was the Tigers first losing record since 2008. So with a switch at general manager, the Tigers signed multiple free agents who will make an immediate impact on the team. The Tigers have arguably the best hitter in baseball right in the middle of their lineup in Miguel Cabrera. Cabrera won his fourth AL batting title last season despite only playing in 119 games. The 2-time MVP will have a great supporting cast. J.D. Martinez has become a huge threat with the bat. Martinez hit 38 home runs last season. Justin Upton is now with the Tigers. Upton will take over left field and will provide more power in the lineup. Upton was one of the top free agents available. Ian Kinsler is one of the best hitting second basemen in the league. Victor Martinez is one of the toughest players to strike out. Cameron Maybin, who was originally drafted by the Tigers, is back with the club and will be big addition to the outfield. Pitching: Manager Brad Ausmus’ toughest challenge last season was with the health of his staff. They finished with the worst ERA in the American League last year so the Tigers started the offseason by signing starter Jordan Zimmerman. Zimmerman previously pitched for the Nationals and has been one of the most consistent pitchers in baseball over the past four seasons. Zimmerman should follow Justin Verlander in the rotation. Verlander finished very strong in 2015 after bouncing back from an injury. Anibal Sanchez will look for a healthy season after getting bit by the injury bug as well. Newcomers Daniel Norris and Mike Pelfrey will round out the rotation. The Tigers also added proven closer Francisco Rodriguez to secure the ninth inning this season. Schedule: In 2016, the Tigers will host the Seattle Mariners, Cleveland Indians, Kansas City Royals, Minnesota Twins, Miami Marlins, Houston Astros, Chicago White Sox, New York Mets, Boston Red Sox, Los Angeles Angels and Baltimore Orioles. 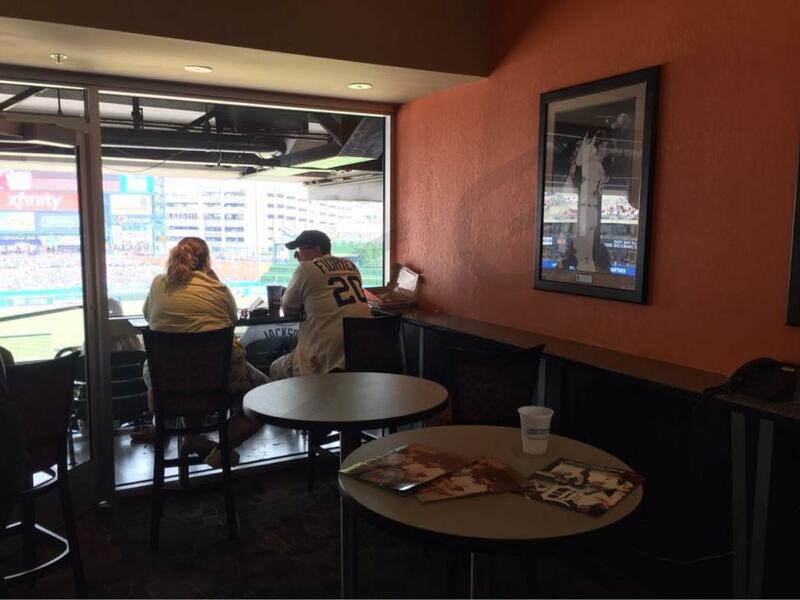 Suites and Special Events: Suites for the Detroit Tigers offer a perfect setting for business or for pleasure. Tigers’ suites at Comerica Park accommodate groups of 18 to 24 people. A Tigers luxury box will include all the finest amenities such as private restrooms, VIP parking, in-suite catering options and indoor/outdoor seating. Guests will also get private entry into Comerica Park and access to VIP clubs inside. The Detroit Tigers have one of the most feared lineups in all of baseball. Their bats helped win the American League Central in 2014 for the fourth straight year and will help them contend again in 2015. Those stars include Miguel Cabrera, Ian Kinsler and Victor Martinez. J.D. Martinez came up huge for the Tigers in 2014. The team also traded for power hitter Yoenis Cespedes in the offseason. On the mound, the Tigers have two number one aces in Justin Verlander and David Price. Anibal Sanchez and new pick-up Alfredo Simon will round out their rotation. Manager Brad Ausmus will have a little more depth than previous years in the dugout. Tigers’ suites at Comerica Park accommodate groups of 16 to 24 people. A Tigers luxury box will include all the finest amenities such as private restrooms, VIP parking, in-suite catering options and indoor/outdoor seating. Suites for the Tigers offer a perfect setting for business or for pleasure. Thank you for signing up for specials at Comerica Park. Enter your email address below to stay in touch. We'll sign you up for our newsletter, which will inform you of the latest inventory and events at Comerica Park. We promise we will never sell or distribute your information. The seating chart below shows where the Detroit Tigers suites at Comerica Park are located.